House Cleaning — Leticia's First Class Cleaning Inc.
Leticia’s First Class Cleaning offers many specialty cleaning services from vacation rental cleaning and move-out cleaning to junk removal and refrigerator cleaning, but it all started with the classing house cleaning service. And if you think about it, many of these other services all still revolve around the home; a vacation rental cleaning is still a house cleaning, just a house you rent out, and a move-out cleaning is a house cleaning when you’re ready for a new home. Our house cleaning service is the best in San Luis Obispo County according to our customers. Try us and find out for yourself! !It’s OK if your house is blue, or yellow, or pink – we can still give you the green treatment because we offer cleaning products that are non-toxic and free of chlorine, phenol, ammonia, or formaldehyde. We want your home to be a safe place, including the air you breathe. Our eco-friendly cleansers are still plenty powerful, though. We use of one of the leading household disinfectants to safely sanitize in places like the kitchen and bathroom. Our green house cleaning is one of the many features that set our cleaning services apart from the competition here in San Luis Obispo County and why we’re the largest cleaning service on the central coast after 20 years in business. 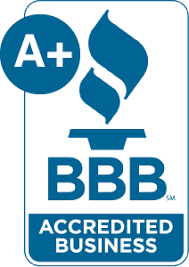 As the largest cleaning service team in San Luis Obispo County, you should know that we’re licensed, bonded, and insured and have been that was since 1998. We’re proud to offer you this peace of mind when we step into your home (which we know is someplace very important and special to you). Finding a house cleaner from a bulletin board just isn’t going to give you that assurance. When you work with us as your cleaning company, you’ll know your home is in safe hands. What’s Included in a Home Cleaning Service? Every home will have different cleaning needs, so you can expect the usual cleaning: vacuuming, dry/wet mopping, dusting (we pride ourselves in actually removing the dust and not just moving it around), remove cobwebs, clean counter and sinks, wipe down faucets, scrub toilets, etc. Depending on frequency and need, some clients will need or want other services, which is why we offer free estimates. For example, an elderly client may ask us to empty all cans and take out the trash at each visit and also take the large bins to the curb if they are no longer able to. We are happy to accommodate our clients with their cleaning needs! Most of our clients like to keep their homes cleaned on a schedule (weekly, bi-monthly, or monthly); however, we’re also experts at deep cleaning and if you’ve lived in one place for a long time, you’ll know there is a lot to be said for a good, deep house cleaning. This is a one-time service where we’ll send in a team for a top-to-bottom scrub down of everything in your home. It’s a lot like a move-out cleaning, except you’ll be staying in your home! Imagine having that amazingly clean feeling of a new home all over again. Deep cleanings usually include steaming the carpets, washing the windows and mirrors, scrubbing all surfaces, taking everything off of shelves and wiping items and the shelves off, cleaning tables, wiping down lights and fan blades, cleaning under furniture and appliances, and really going after the dust bunnies that may have accumulated. Take a look at our photo gallery for the before and after photos of our house cleanings and you’ll see what we mean. How Should I Prepare for My House Cleaning? WE LOVE OUR FURRY FRIENDS BUT….We do ask that if you have pets, please be sure they are contained on the day of your cleaning so that they do not escape or cause any harm to our team: especially dogs. If there is a dog loose, we will not clean. If you desire to have something cleaned and furniture is in the way, please move it prior to your cleaning appointment. We do not allow staff to move anything heavier than 35 lbs. Payment for your house cleaning service is due in full at the time of service. You are welcome to leave a personal check. Beyond that, do not feel like you must “pre-clean” your home for our cleaning team. We are here for you, that’s why you hire us! Because no two homes are the same, we offer free estimates on our cleaning services anywhere in San Luis Obispo County. Let us know what you would like to have cleaned and request your free estimate today! Need references? We’re happy to share (and so are our references!) Read our house cleaning testimonials here.